This making your life easier post has been brought to you by HapiMomi…. If you know me, you know that I’m a gadget girl. A gadget girl that loves apps that make my life easier. I’m also a planner and a list maker. It’s true. I sometimes even frustrate myself. But I am what I am. When I heard about the HapiMomi app, I was sold by the description. Well, sold isn’t exactly the best word since the app is free. Yes, free! What’s not to love about a useful app that’s free too boot? I know it makes me happy. HapiMomi was super easy to download onto my iPhone 5. I signed up using my name and email, and creating a password. Then it was easy to add my family members… I put my husband’s and son’s name and emails in, and they received emails with log-in credentials. They download the app and log-in and are automatically connected with me “Mom” head of household. Dad can just as easily be head of household, but since moms are the ones usually making the grocery lists and to-do lists, for example, at least in our home (although my husband is a list maker, as well), we’ll say mom is he head of household. I’ve been using the app for several days now, and it’s very user-friendly. 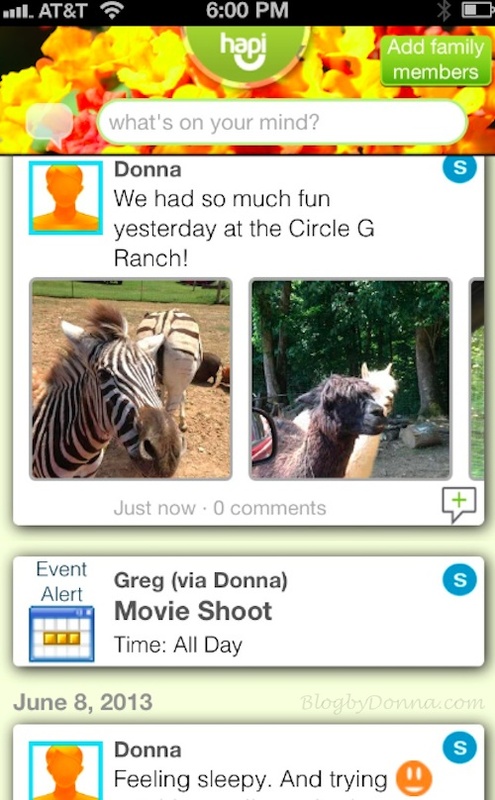 Social Wall – where you can share personal messages with your family. 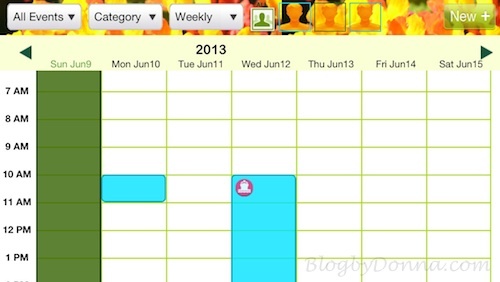 Calendar – share appointments and events easily with family members. 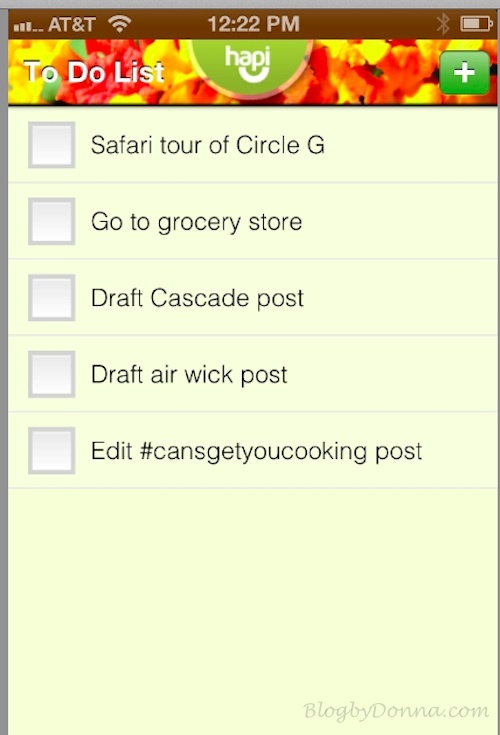 To Do List – share tasks instantly with family members. Diary – someplace to keep private family memories. 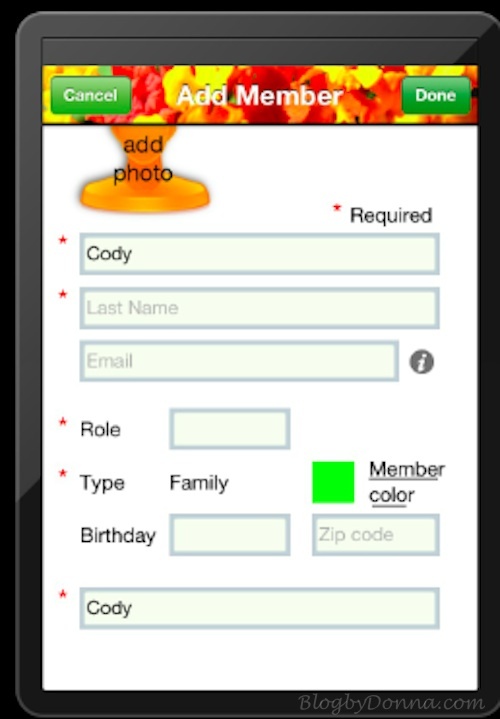 Contacts – share a central family phone book that everyone in the family can access anytime. 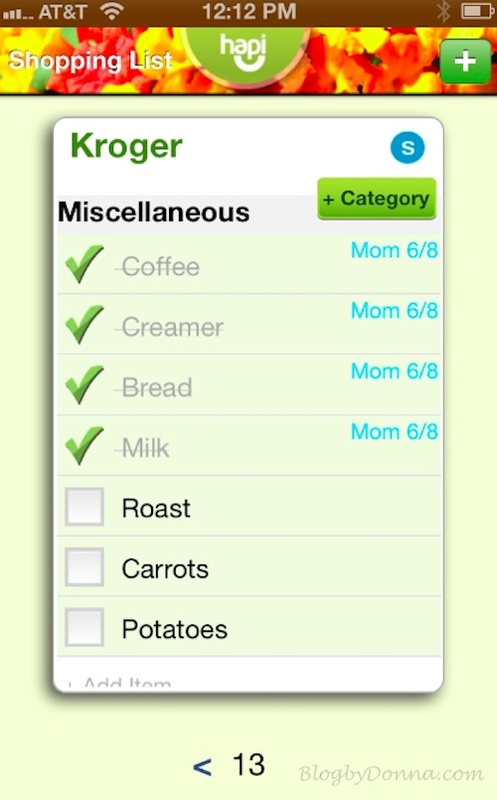 Shopping List – make and share a shopping list where family members can add to it, as well as check off items. I really don’t know which feature is my favorite… I do know I love the ‘To do list’ and the ‘Shopping list’ a great deal. 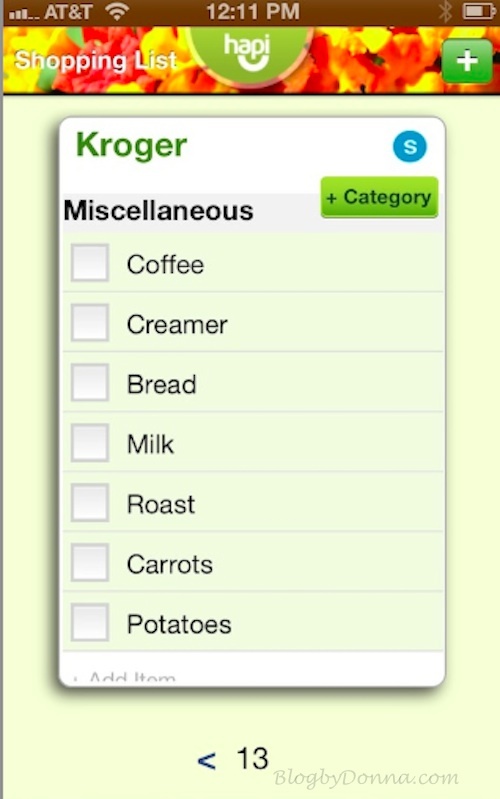 I love how we can all add to the shopping list so whoever is at the store can pull it up and see what we need/want. 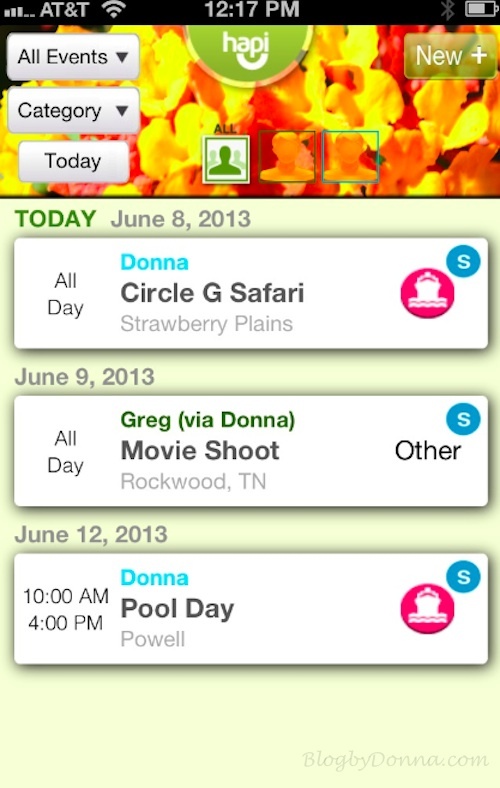 HapiMomi helps you to organize, plan, and share with your family… all in one place. I can share with both my husband and my son, or with just my husband or son. I can also keep it personal. As I said, I’ve only been using it for a few days, so as I continue to play with it, I know I’m going to find it more and more useful. HapiMomi is fast becoming one of my favorite apps. If you are a busy mom like me, trying to juggle all your kid’s schedules along with yours and your husband’s, I think you will love the HapiMomi app for private family sharing. Note: Since I uploaded the app there’s been an update to version 1.5 which allows you to invite family members directly from your family wall screen. They also made some improvements on the looks of the calendar. So if you’re already using HapiMom, be sure to go to the app store and update it. Be sure to get social with HapiMomi, too, by liking HapiMomi on Facebook, and following HapiMomi on Twitter and HapiMomi on Pinterest. Free?!? Love free apps. It looks so easy to use. Wow, I’m always looking for apps to help me stay organized, and it’s free! I could use some organizing help! This is awesome! It looks to be very robust for a free app – I’ll be sure to check it out. Wow, and this is a free app? That is a ton of features for a free app! Wish they made it for Windows phones too! Wow, this could really help us out in all aspect of the household. And the app appears free so it’s a win win. Thanks so much for the information.